We are pleased to announce our newest product line, the Kids’ Organic Waffles. They will be available across the country at grocers and specialty retailers in October. 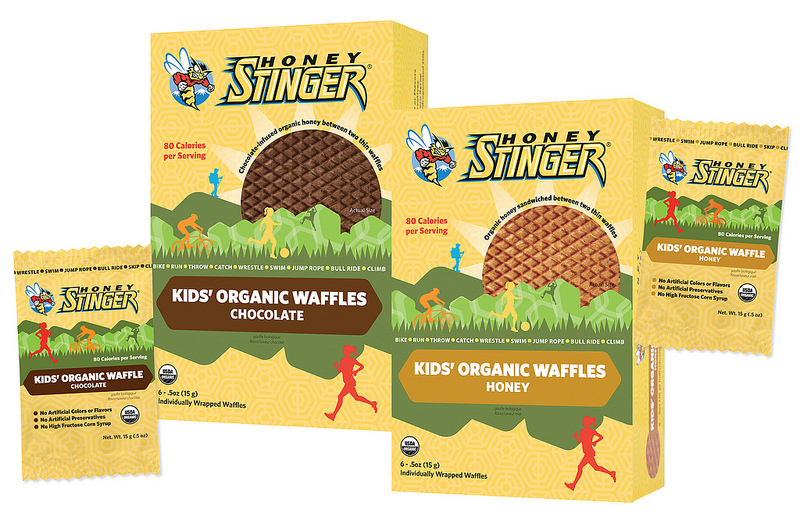 Honey Stinger Kids’ Organic Waffles will initially be available in Honey and Chocolate flavors and will be sold in boxes of six individually wrapped waffles. Each waffle is 80 calories and contains no artificial flavors, colors, preservatives, high fructose corn syrup or trans fats. A box of six waffles will have an MSRP of $4.99 and retailers have the option to sell waffles packaged for individual sale for an MSRP of $0.89.